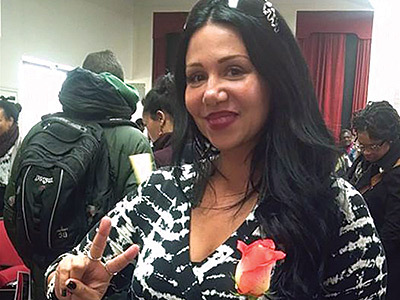 This Latina activist has given lesbians with HIV a voice and given a face to women affected by the epidemic, a rarity in the media and beyond. Miami’s sassiest HIV activist is clearly Maria Mejia, a 40-year-old lesbian Latina who found out she was positive at age 18 during a routine Job Corps screening. A fixture on the podium at both Latino and HIV-specific events, Mejia is one of the few people in the nation reminding others that, despite the stats, there are lesbians living with HIV. Perhaps her biggest impact is on social media, where she provides a forum for others to talk, via her bilingual YouTube channel (Mariasjournal) and two of the largest Facebook groups, one in English (Mariahiv), one in Spanish (Mariahiv1111), for people with HIV. That’s tens of thousands who come together to talk about everything from dating advice to coming out to your parents about being poz.